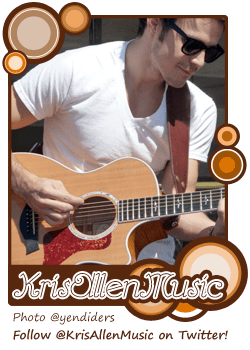 So I forgot to tell you guys that Sherrie has already posted her first Kris Allen music discussion posts over at Kris Allen Music’s Live Journal. 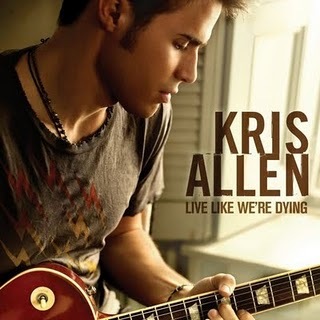 The first 2 posts discuss Kris’ first and platinum-selling single Live Like We’re Dying and can be found here and here. The journal is still very new and I’d like to encourage you guys to go join in the discussion as well as help spread the word. You can find some web site banners here. What is “Kris Allen Music”? Updated Dec 17 2010: MP3 of Send Me All Your Angels ripped and added for download with permission from videographer cspannie. This is an absolutely beautiful set. Awesome visual and sound, minimal screaming (which is rare, so THANK YOU LAS VEGAS), Kris looking pretty and biceps on prominent display. Daymn. There were more songs from the set but the videos I found aren’t very good so I’m just posting these ones.